Telstar, part of the azbil Group, is a company who specialise in the development of engineering & construction projects, integrated process equipment and GMP consultancy solutions, including turnkey projects and critical installations, for companies associated with Life & Health Sciences (pharmaceutical & biotechnology, healthcare, cosmetic, veterinary and food & beverage industries, hospitals, laboratories & research centres). 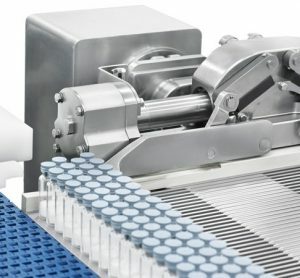 Embracing Industry 4.0 challenges, the company plays an active role in the development of leading-edge innovative smart developments in the process analytical technology field for pharmaceutical freeze drying systems and aseptic manufacturing processes, together with integrated process equipment and laboratory integrated management systems. Telstar has the ability to develop its own technologies and design complete integrated turnkey projects for critical GMP and scientific & R&D installations, adapted to specific peculiarities that digital transformation processes requires in the pharmaceutical & biotechnology sectors. The focus of Telstar in Life Science and Health industries is on the management of customised, integrated turnkey projects including GMP consultancy, engineering and construction of manufacturing plants and complete laboratories for the production of medicines, including critical equipment. This also encompasses validation, regulatory compliance and implementation services for logistics management and maintenance systems, as well as computerised solutions for life science industry regulated processes. Telstar specialises in the design and development of integrated process solutions using in-house sterilisation, freeze-drying, containment & barrier systems, process water & waste treatment, clean air and cold storage technologies, which are to be implemented in existing facilities or to be integrated into new plants or research laboratories. The focus for Telstar in the Laboratory field is the design, manufacture, sales and after sales of equipment for R&D, quality control and analysis in sectors related to Life and Health Sciences. Telstar offers to the market an extensive range of green line equipment made up of biological safety cabinets, laminar flow cabinets, laboratory freeze dryers (GLP) and ultra-low freezers. 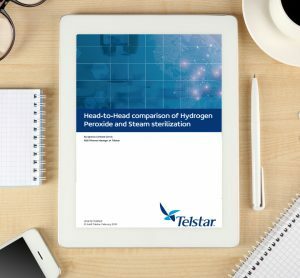 In the field of medical sector and hospitals, Telstar specialises in the development of technology applied to medical devices for the laminar flow operating theatres. The company offers equipment solutions with laminar flow and lighting technology for operating rooms and enclosures for immunocompromised persons.